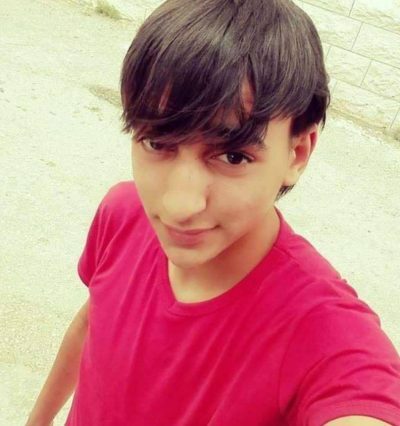 A 17-year old Palestinian boy identified as Qoteiba Yousef Zahran from Illar village in the Tulkarem district was killed Saturday at the Za’tara checkpoint by Israeli border control officers. 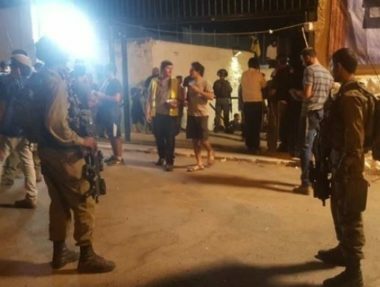 Israeli authorities claimed that the boy tried to carry out a stabbing attack against the soldiers stationed at the checkpoint, and published a picture of a dull kitchen knife lying on the ground. The picture of the knife showed no blood, and the initial claim that a soldier was wounded by the boy was later rescinded. A soldier was injured in the incident, but it was from the flurry of bullets fired by the Israeli guards toward the 17-year old, not from the boy himself. In their rush to shoot the boy dead, the guards ended up shooting one of their fellow border guards in the leg. 17-year old Qoteiba Zahran was initially listed as critically injured, but was left untreated at the scene, and died bleeding on the ground. The soldier, who was mildly wounded by so-called ‘friendly fire’, was treated immediately by medics from the Magen David Adom medical service. The soldier was not identified, but Israeli officials said he was 18 years old. The soldiers they fired a barrage of bullets, critically wounding Zahran, then leaving him to bleed to death. No independent confirmation could be made of the Israeli claim. Following the killing of Zahran, Israeli forces closed the Zaatara checkpoint for most of the day, preventing Palestinians from crossing in either direction. In addition, Israeli soldiers invaded Zahran’s village, Illar, and abducted his brother Tareq, and took him to an interrogation center. He is being held without charges, and without any opportunity to speak to a lawyer.